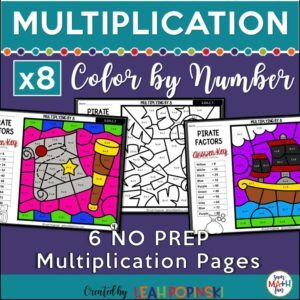 Do you need challenging resources for your early finishers, gifted students, or for those students who already seem to know everything? 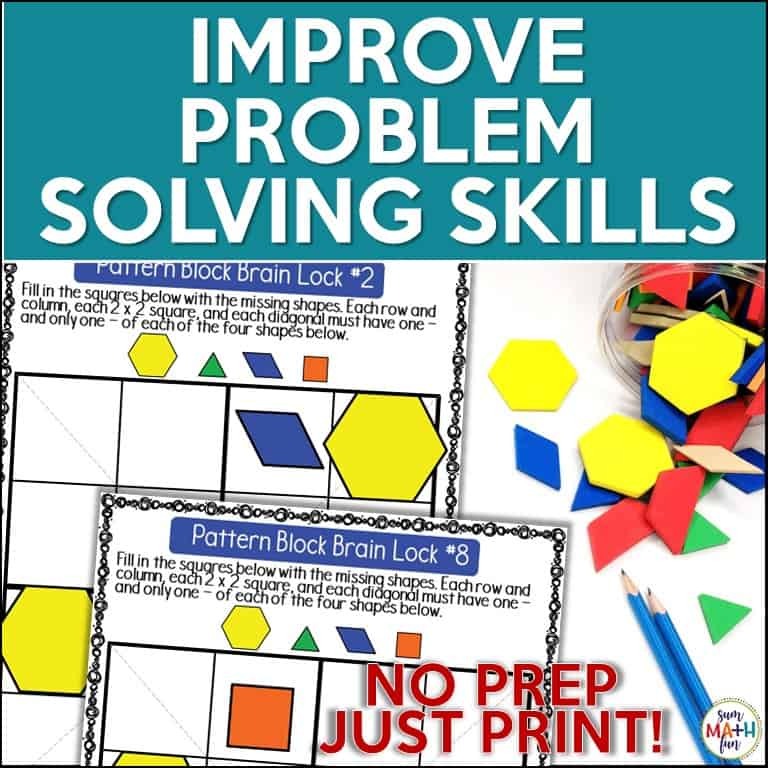 Why not provide them fun and engaging challenges that will build problem solving skills and logical thinking? No more, “I’m done!”. No more, “I’m bored!”. 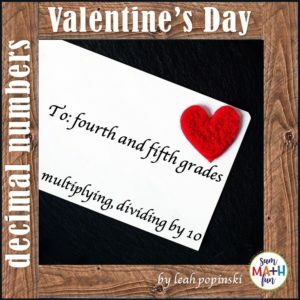 Imagine your students absorbed in a mathematical challenge, excitedly sharing a new idea or conclusion with a friend, and exclaiming happily when a solution is reached. These Pattern Block Logic Puzzles elicit these results! They provide students with a hands-on way to increase their logical reasoning and problem solving skills! There are 10 Sudoku-like puzzles that use Pattern Blocks instead of numbers. 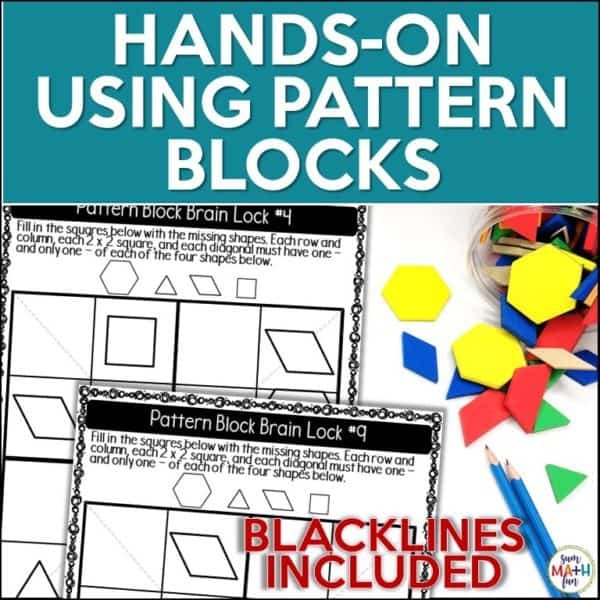 By using Pattern Blocks as a manipulative, students can easily move them until they find the right solution. They won’t erase a hole in their paper as they guess and test solutions. ** These puzzles are at a high level of difficulty. Using four different shapes, students fill the squares in each puzzle with the missing shapes. Each row and column, each 2 x 2 square, and each diagonal must have one – and only one – of the four shapes. 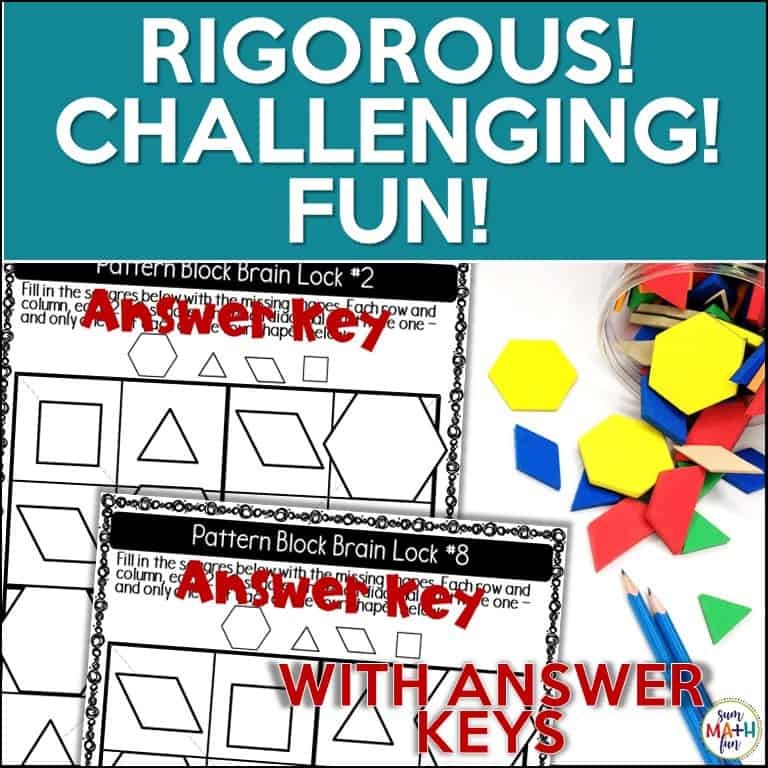 Few shapes are given in the puzzles that help students get started. Logical and deductive reasoning is required to solve these puzzles! See the huge bundle of 30 puzzles for more levels! 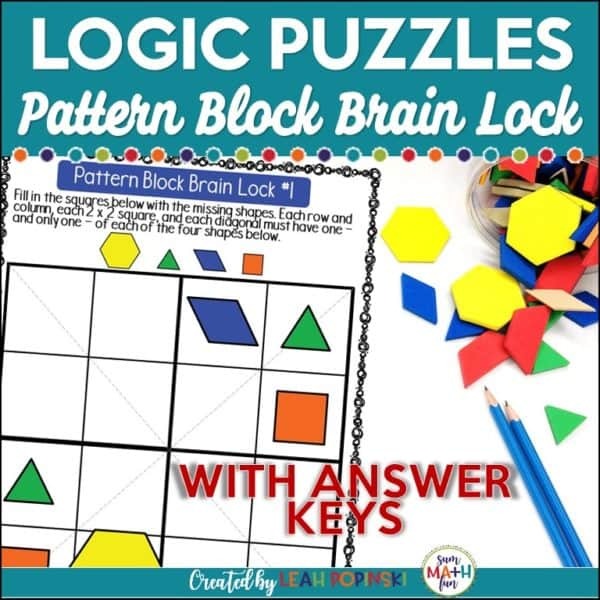 Research shows that logic puzzles boost brain activity and improve memory and concentration! 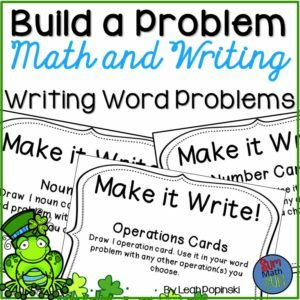 Applying learned strategies and working through word problems require logical thinking to be successful. These logic puzzles will strengthen logical reasoning skills and help brains think outside the box as they solve problems. 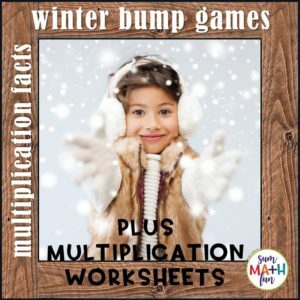 ✅ Early Finishers: Activities for Gifted, Homework, & Extensions – BUNDLED!